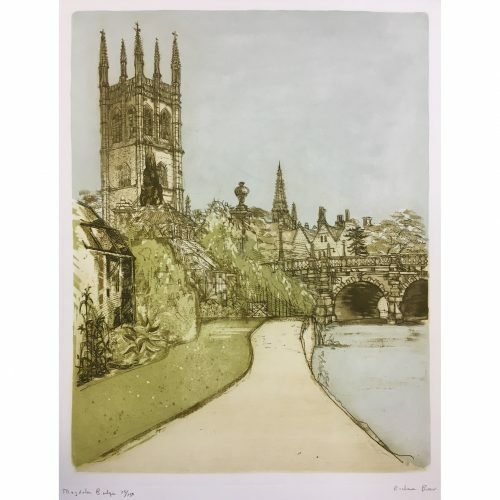 Born in London in 1928, just too late to serve in World War II, Richard Beer studied between 1945-1950 at the Slade School. 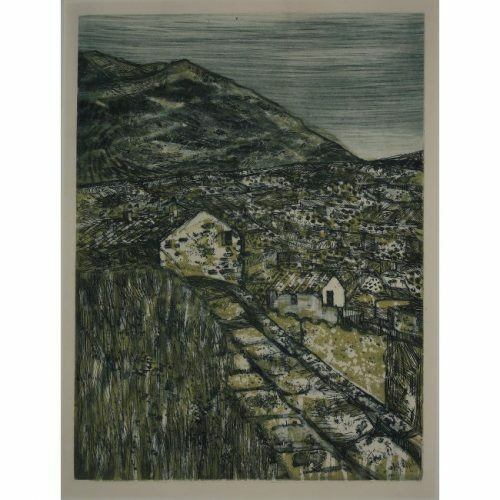 Subsequently, a French Government scholarship allowed him to spend time in Paris at Atelier 17, working under Stanley William Hayter (1901-1988), one of the most significant print makers of the 20th Century – having spent the War in New York, advising as a camofleur, Hayter only returned to Paris in 1950. 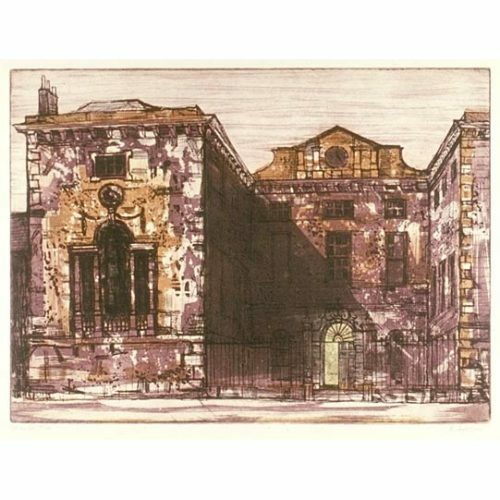 Subsequently Beer studied at the École des Beaux Arts, Paris. 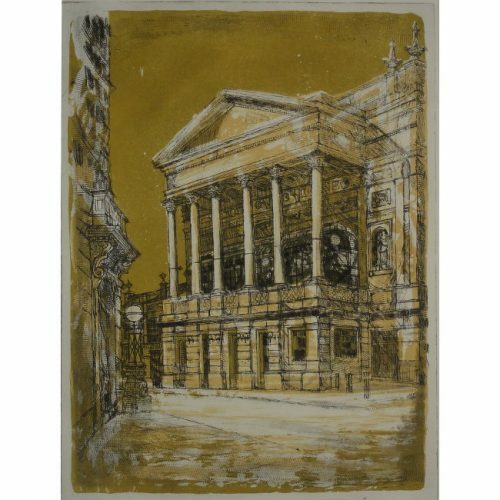 Working for John Cranko, choreographer for the Royal Ballet, Beer designed the sets and costumes for his The Lady and the Fool at Covent Garden, subsequently working for him following his move in 1961 to Stuttgart Ballet. 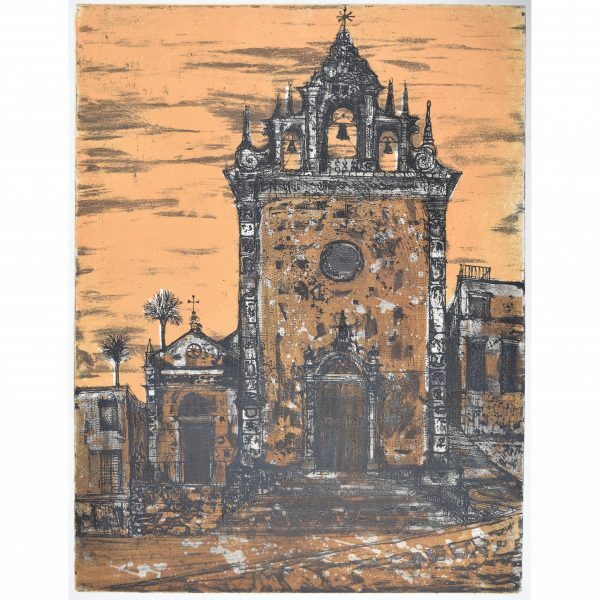 Additionally he produced book illustrations and designed book jackets. 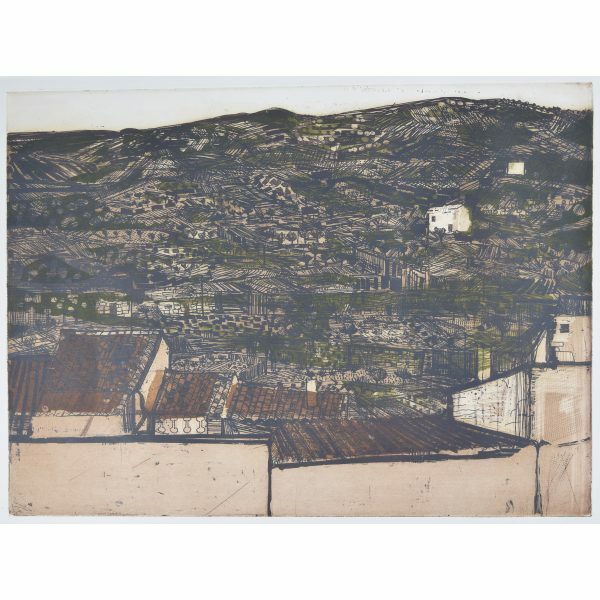 Richard Beer taught print-making at the Chelsea School of Art where he was a popular teacher. 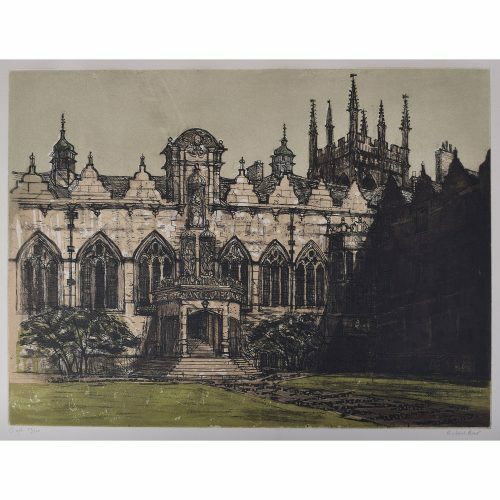 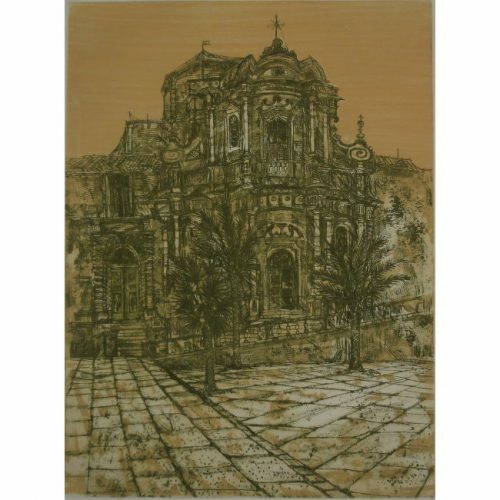 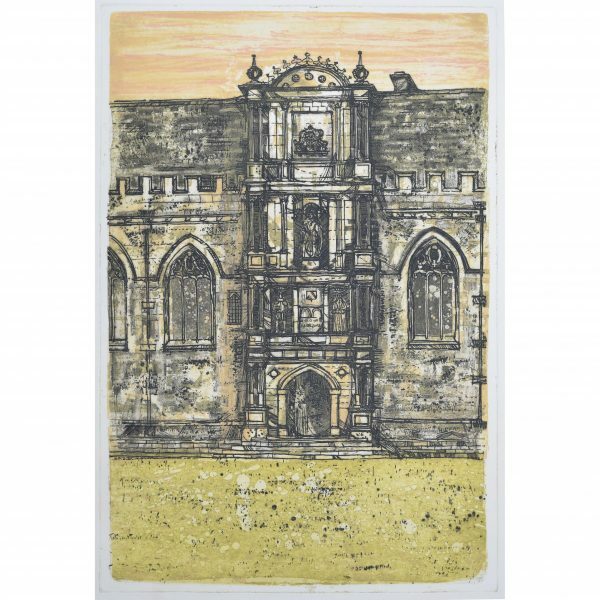 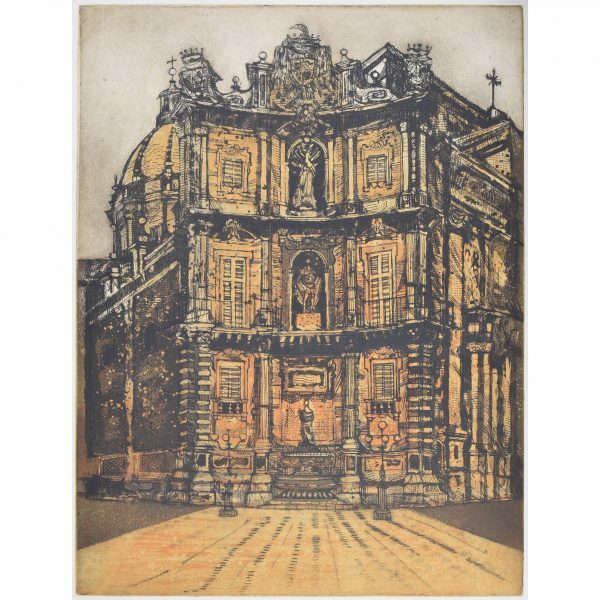 Probably his greatest work was a collaboration with John Betjeman to produce a portfolio of prints of ten Wren Churches in the City for Editions Alecto, copies of which are in The Government Art Collection. 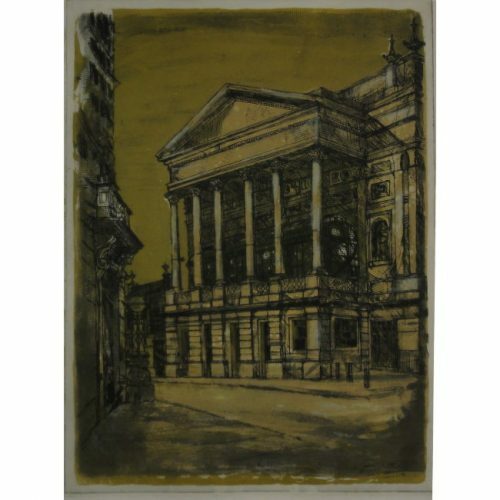 That collection contains a total of 54 prints by Beer, and the Tate Gallery’s collection holds seven. 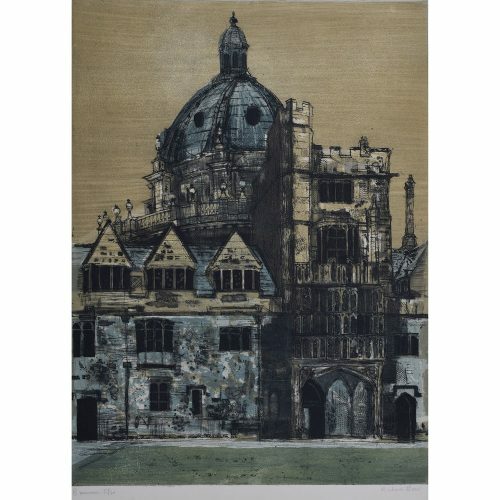 His Oxford series was also produced for Editions Alecto as was a series of predominantly architectural views in Southern Europe. 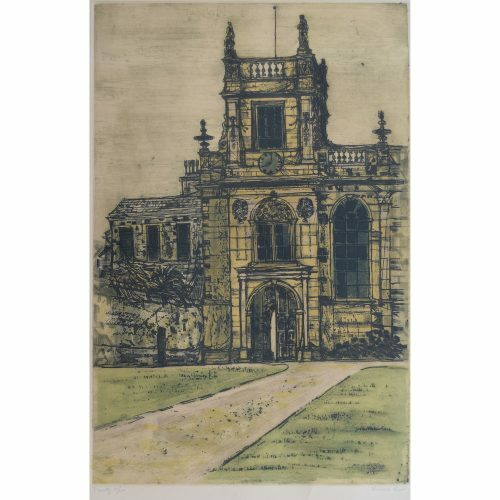 Most of his prints are of architectural subjects, where he explores the use of colour in interesting fashion.